Have any of you seen Wild? 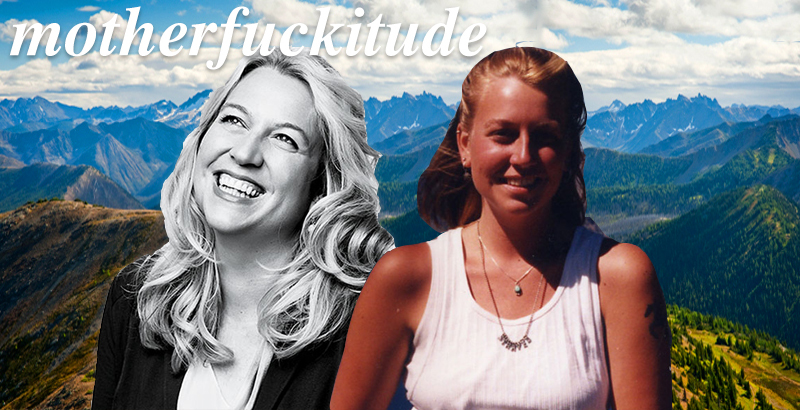 It takes Cheryl Strayed (and you, lucky thing) on a journey through the Pacific Crest Trail, encountering revelations at every turn. The best part, though, is that this journey isn’t just through the rained on, sunshined on trees of 27 national forests. And it doesn’t only take you into Cheryl’s sometimes scandalous, often heartbreaking, and perpetually challenging memories. You’re also guided, even pushed, to the crevices of your mind that flourish on doubt, breed jealousy, and infiltrate fear into your thoughts. Through Cheryl’s journey, you take a journey through your own mind as you face flickering questions and uncover answers. I just read a fantastic (as per usual) piece over at Brain Pickings talking about a little something called motherfuckitude. It comes up in Cheryl’s latest book, Tiny Beautiful Things: Advice on Love and Life from Dear Sugar. Before she wrote Wild and the world was seized by her wisdom all at once, she wrote for an advice column called The Rumpus under the name “Sugar”. Her advice, at the age of twenty-six, speaks to the awesomely wise and unbreakable spirit she has always had. She never dismisses or deflects the true questions of those pleading for an answer. She digs her hands into the dirt of it. It’s as though she looks at the modest weed people present to her, as though this is all that is irking them or scaring them, and she digs into its roots, unapologetically and necessarily. We all need some more motherfuckeritude in our life. Go read about it, and turn this Thursday into a motherfucking Thursday.